For many, the moving of UFC 232 from it’s originally planned location of Las Vegas at the T-Mobile Arena to the Los Angeles Forum on a week’s notice means more than just a simple relocating. The reason for it was due to an ‘atypical finding’ in one of one half of the event’s main event, Jon Jones’ drug tests. Because of this, the Nevada State Athletic Commission declined him of his license thus prompting the UFC to move the show to California. A state where the returning former light heavyweight champion has a temporary license. Prior to this news, there were people in the community who were already skeptical of Jones and his past as a clean or dirty fighter when it came to performance enhancing drugs. Of course, likely because of the fact that he’s had multiple instances now where they have come together…whether intentional or unintentional. 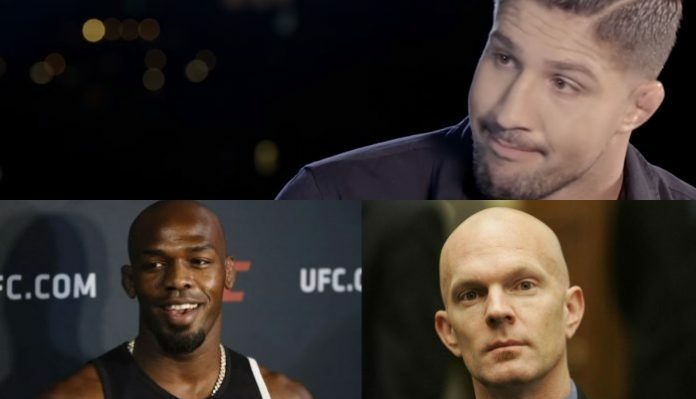 Someone who has been a longtime defender of Jones through every instance has been former UFC heavyweight and season 10 of The Ultimate Fighter finalist, Brendan Schaub. Schaub went on to make it very clear this week in a lengthy rant that he can’t believe Jones is a clean fighter any longer. When discussing Jones and the possibilities of it just being a coincidence, Schaub asked why hasn’t any other elite level fighter had the same kind of issues that Jones has. On top of that, Schaub highlighted the UFC, USADA, and UFC VP of athlete health and performance Jeff Novitzky for being the ones that have really made a mess out of the whole thing by being lenient towards certain situations over others. Specifically mentioning how Frank Mir received a two-year suspension for testing positive for the very same substance as Jones did. Yet Jones’ suspension was only for 15-months. “You’re crazy if you think [USADA] is the end all be all [of drug testing] and they’re just doing what’s best for the sport,” Schaub continued. “Somewhere along the lines, Jeff Novitzky went from the golden snitch to the golden rat and he became an employee of the UFC. And now he has an office in the UFC building. So when guys fail tests, who do you think finds out about it first? “That being said, when Dana and Novitzky come out together…you shouldn’t look at this as, ‘Oh, he’s the representative of USADA and Dana’s the representative of the UFC,’ No. You should look at this as this is the UFC talking to you to try and play damage control on this situation. What are your thoughts on everything that has transpired surrounding UFC 232? Do you agree or disagree with Brendan Schaub?